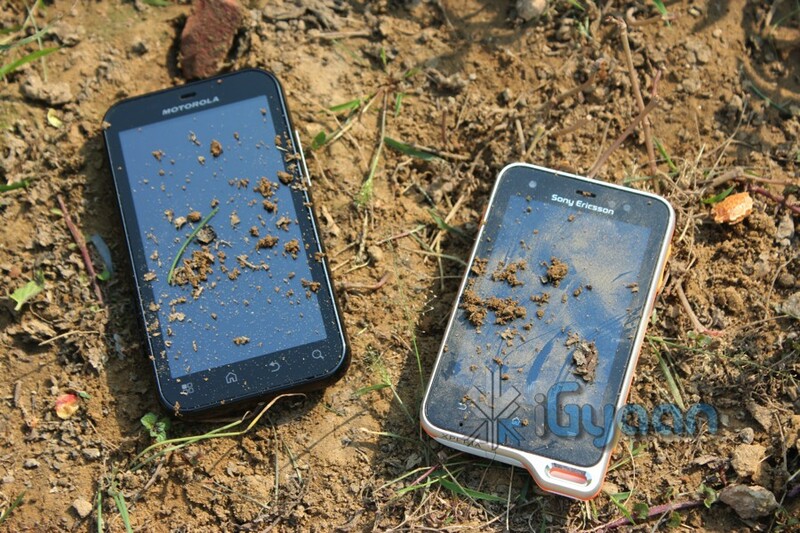 Two phones, multiple battle grounds and various areas of testing. 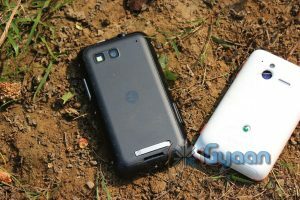 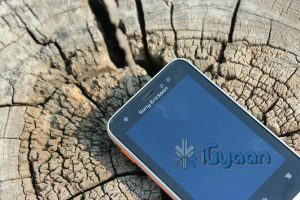 The Motorola Defy Plus in one corner and the Sony Ericsson Xperia Active in the other, the two phones that appear superior in their fields. 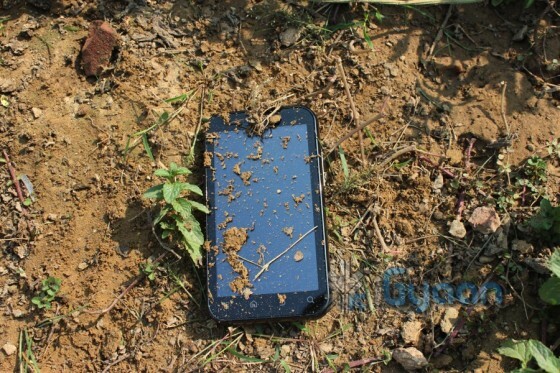 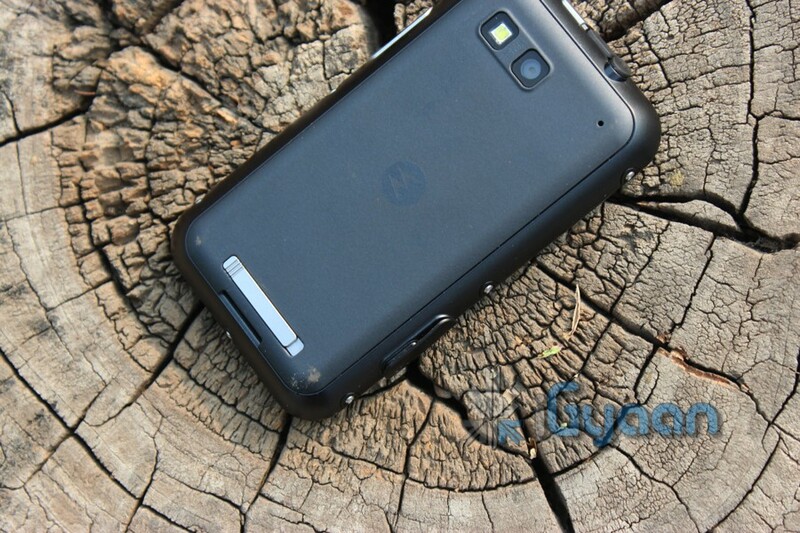 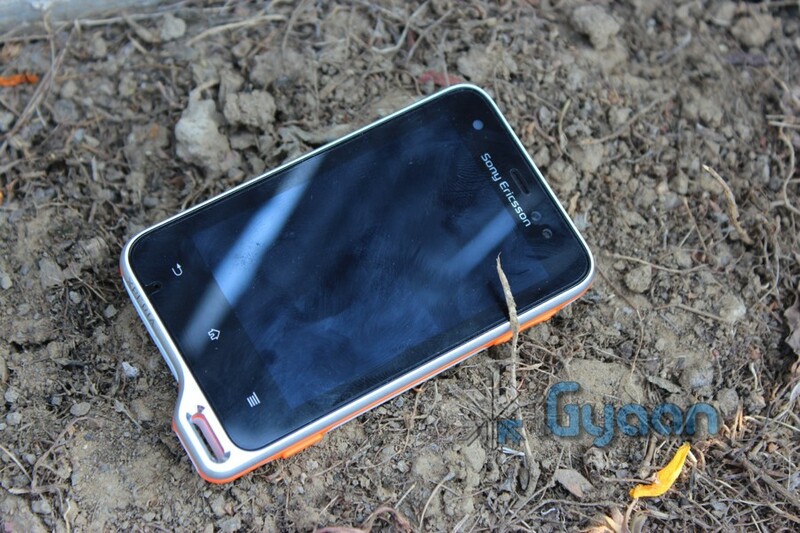 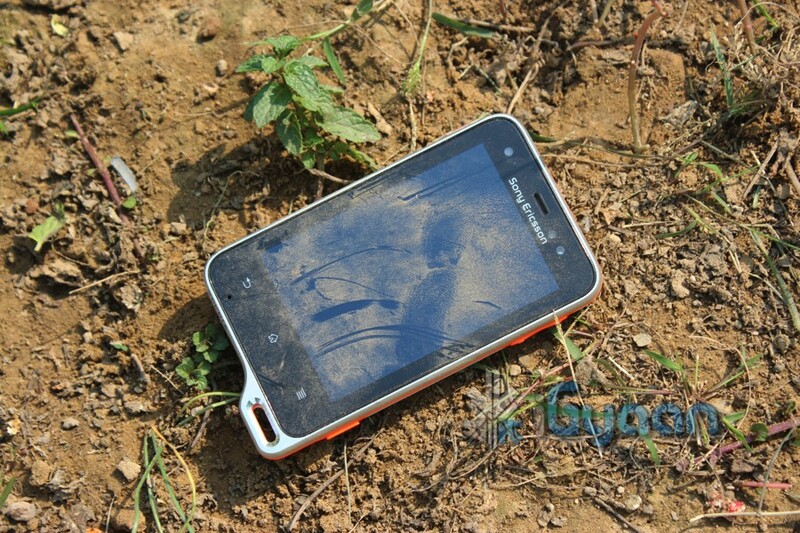 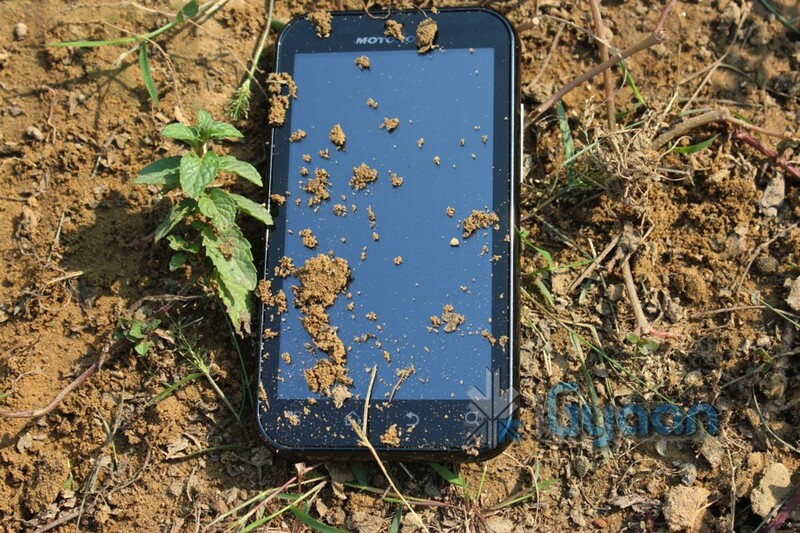 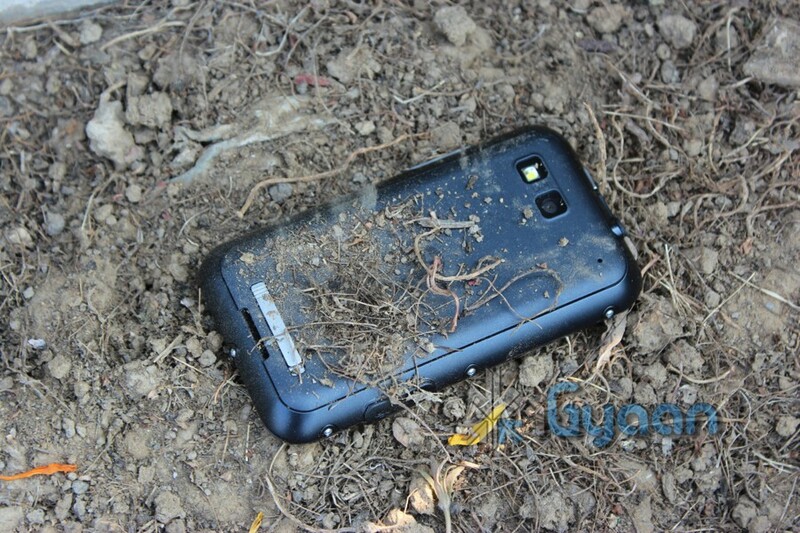 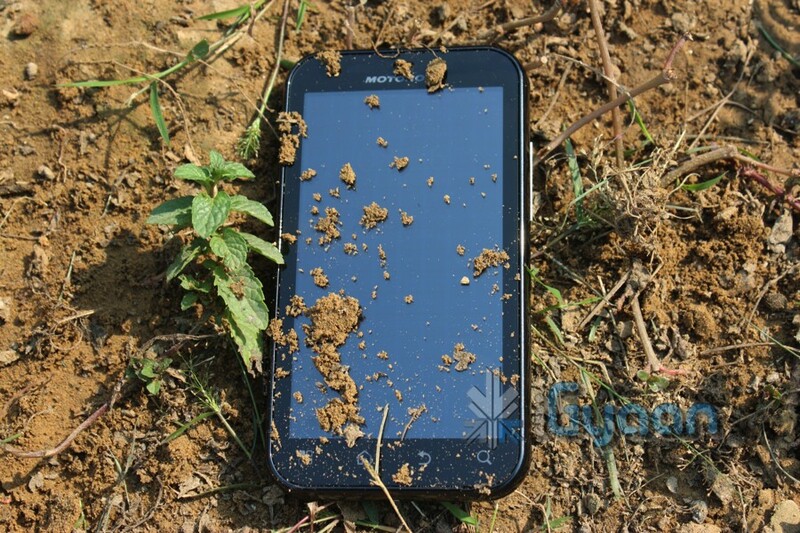 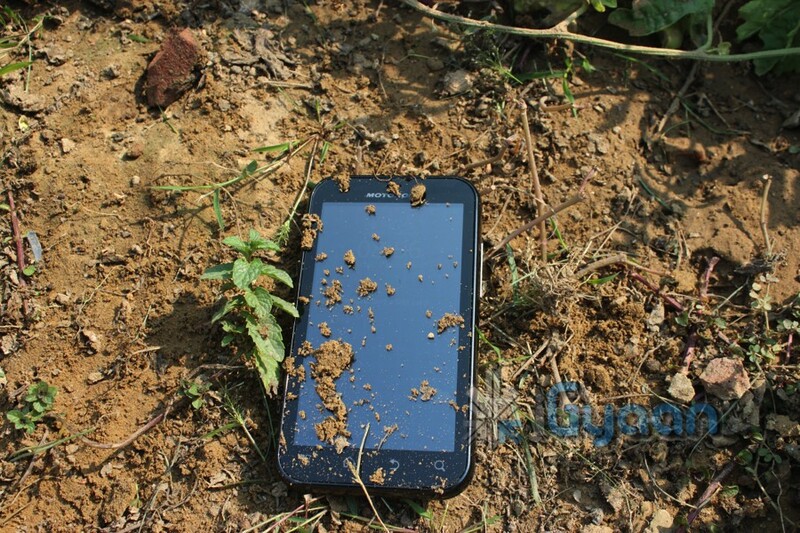 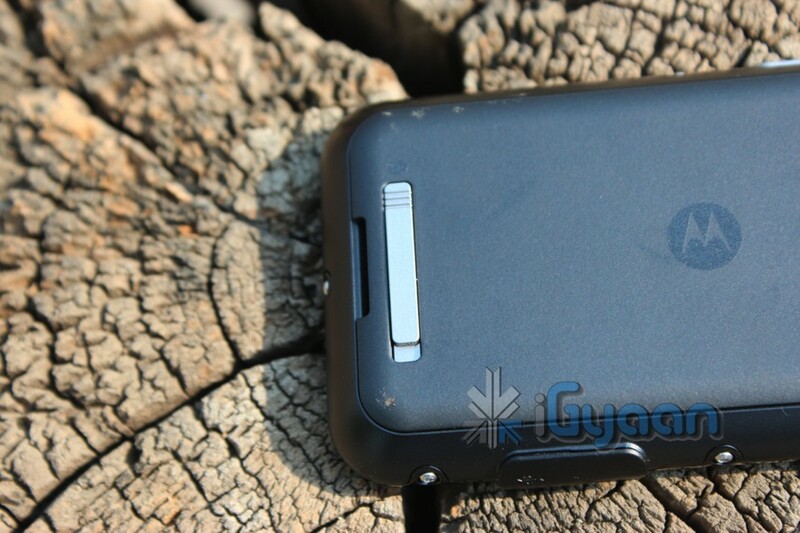 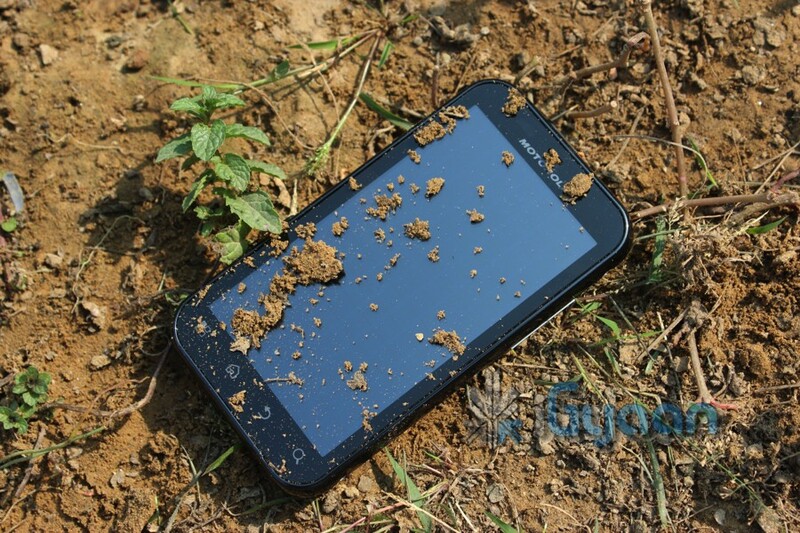 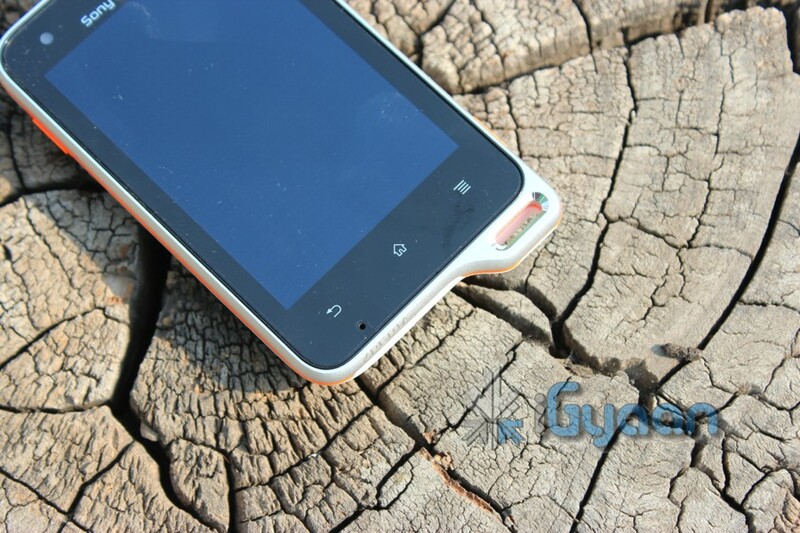 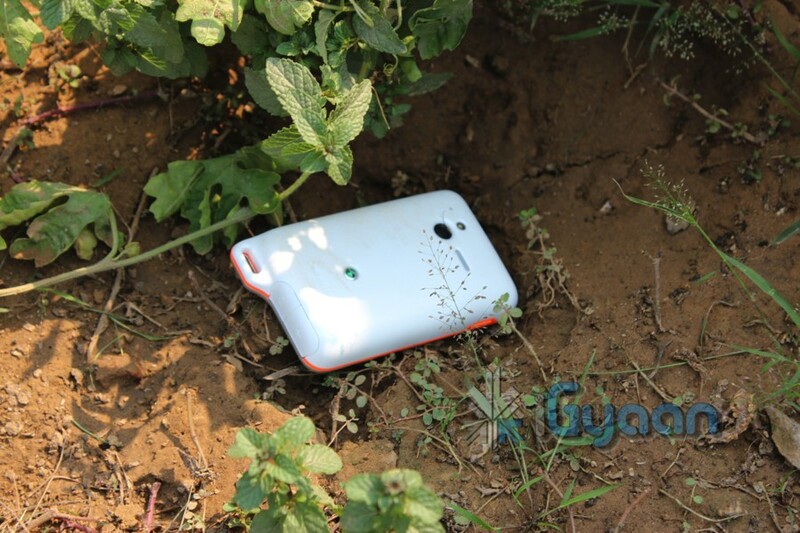 The true definition of a rugged phone is one that can withstand tortures of daily activities and more. Both the Xperia Active and the Defy + are made to withstand certain levels of torture, with rugged accents in both their constructions, both devices fared well in waterproof testing. 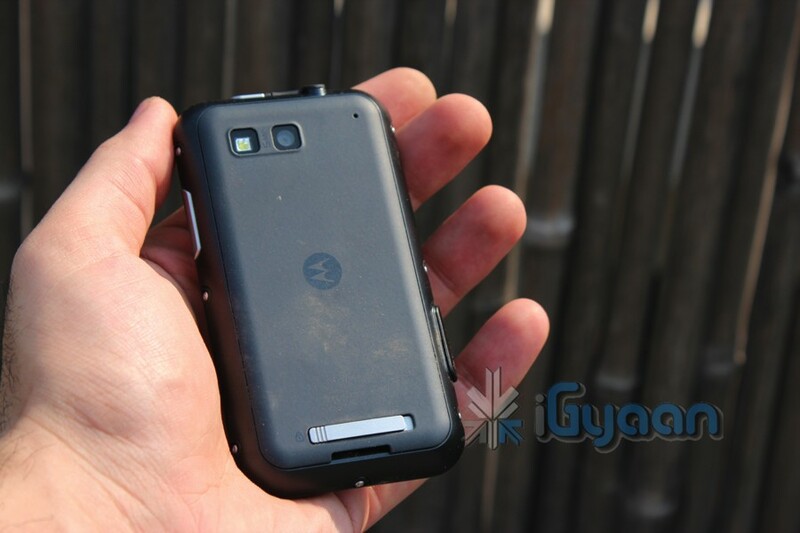 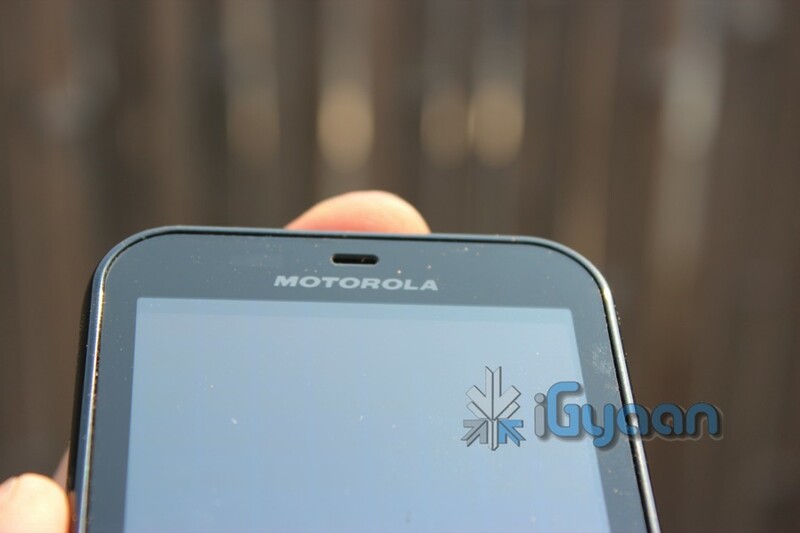 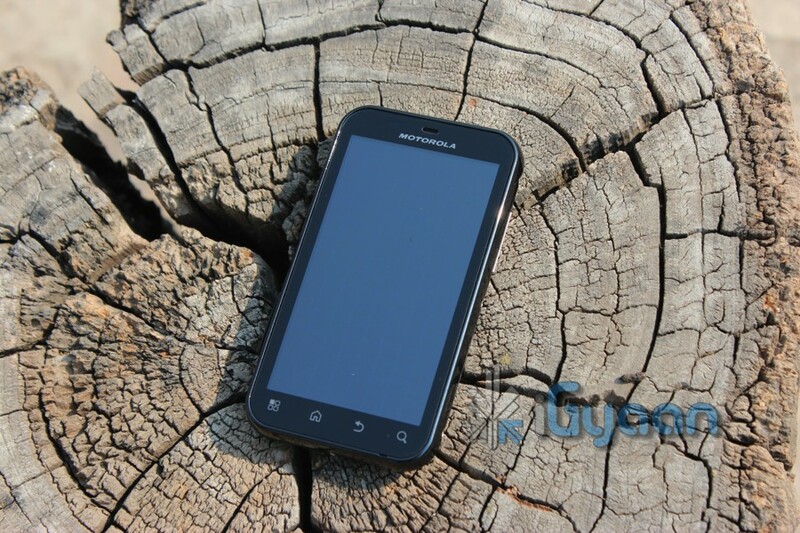 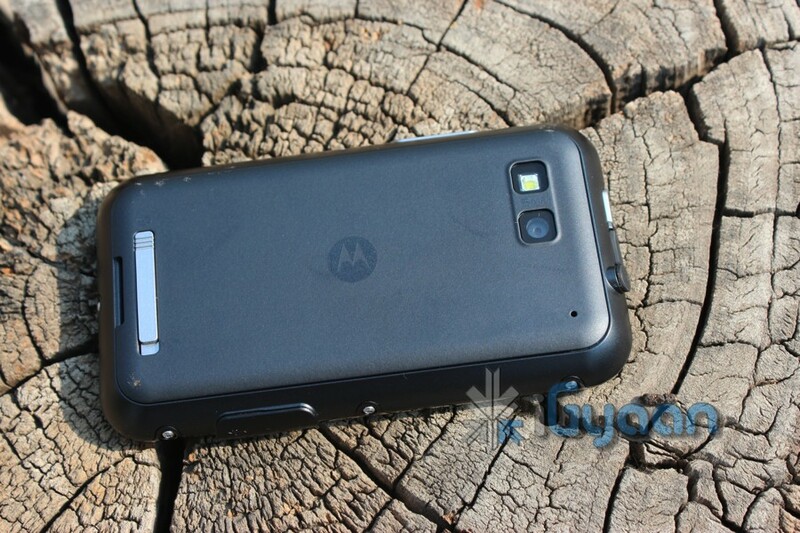 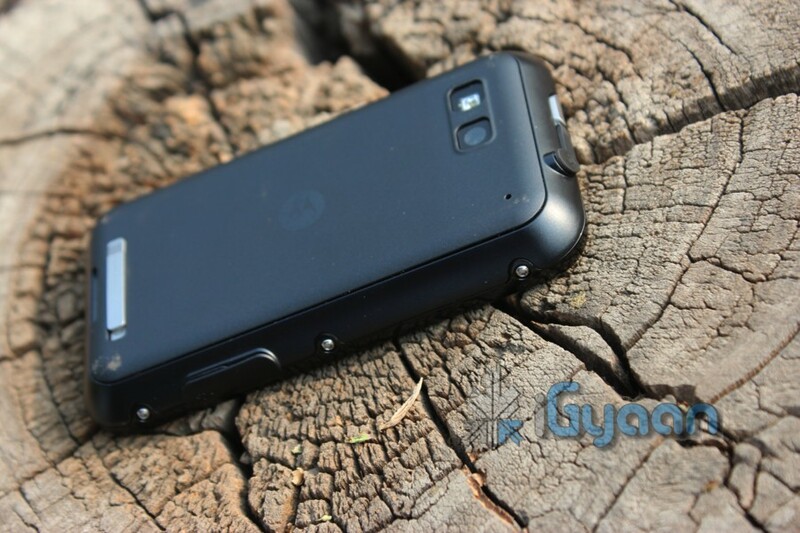 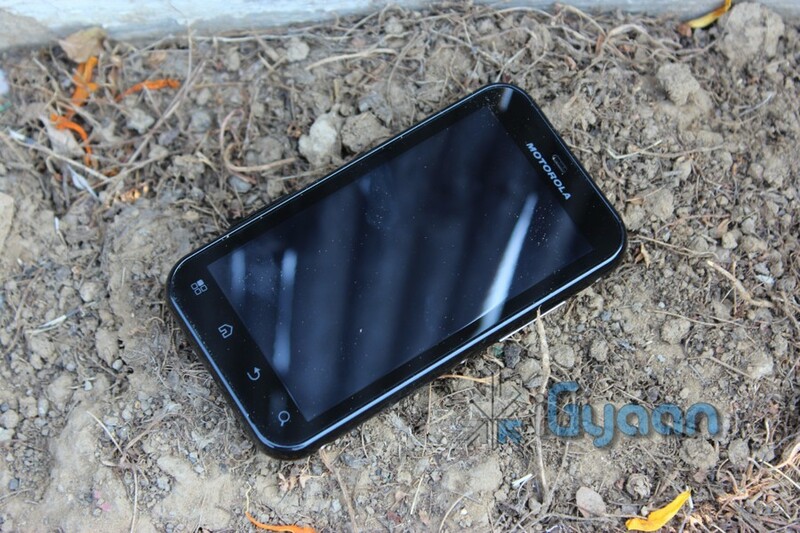 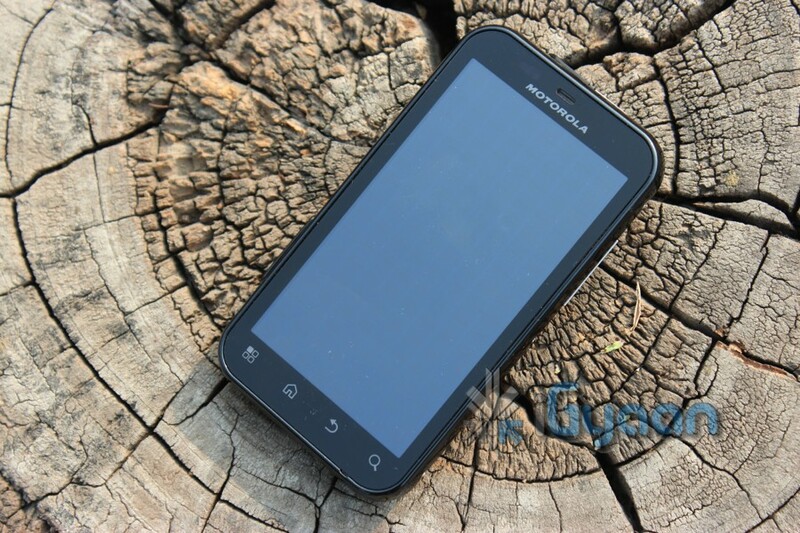 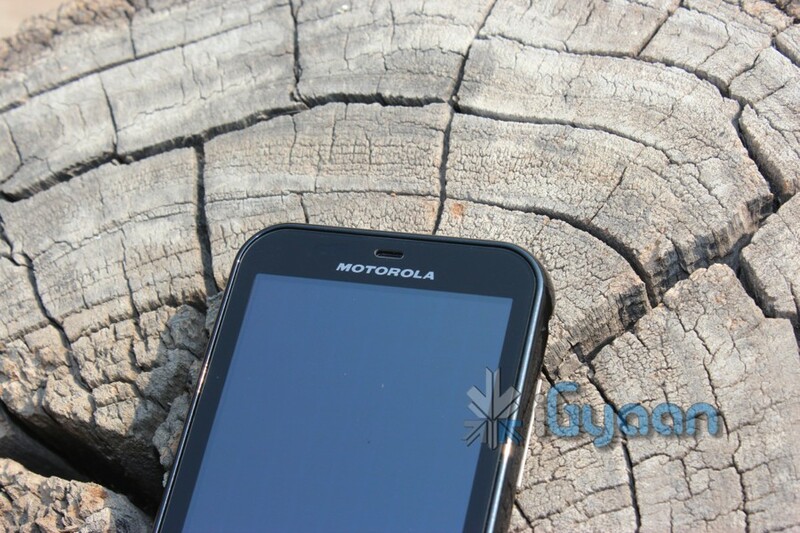 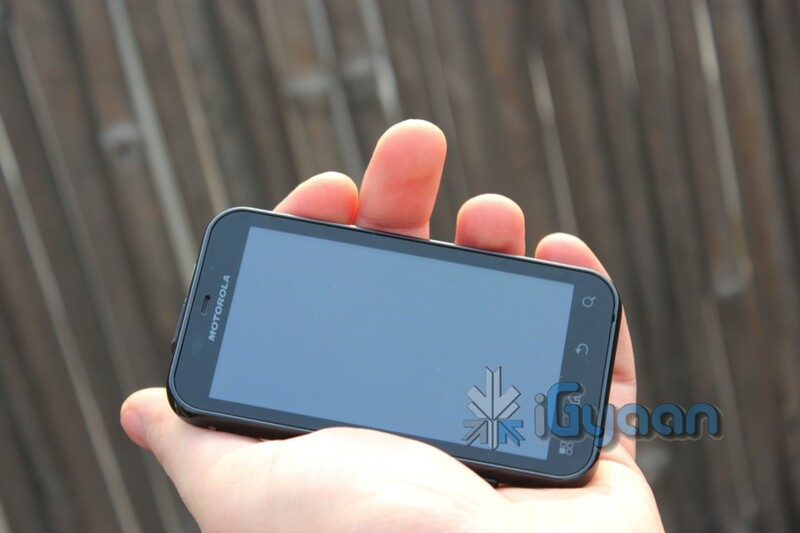 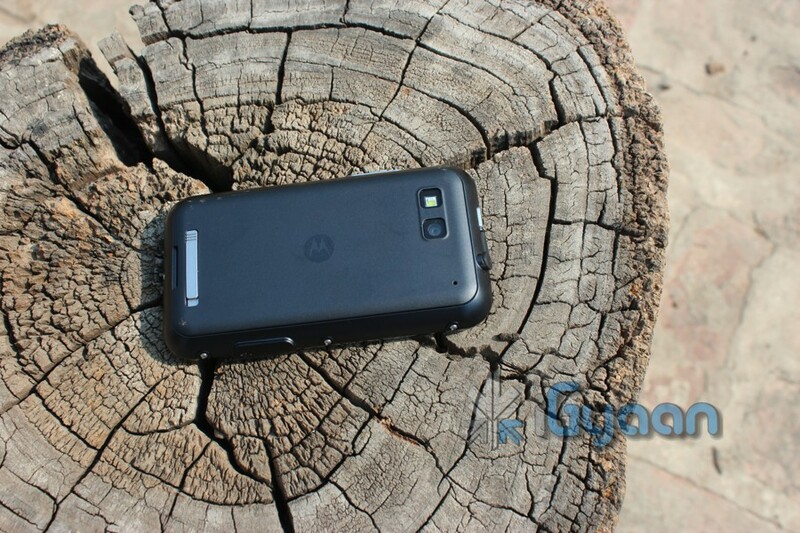 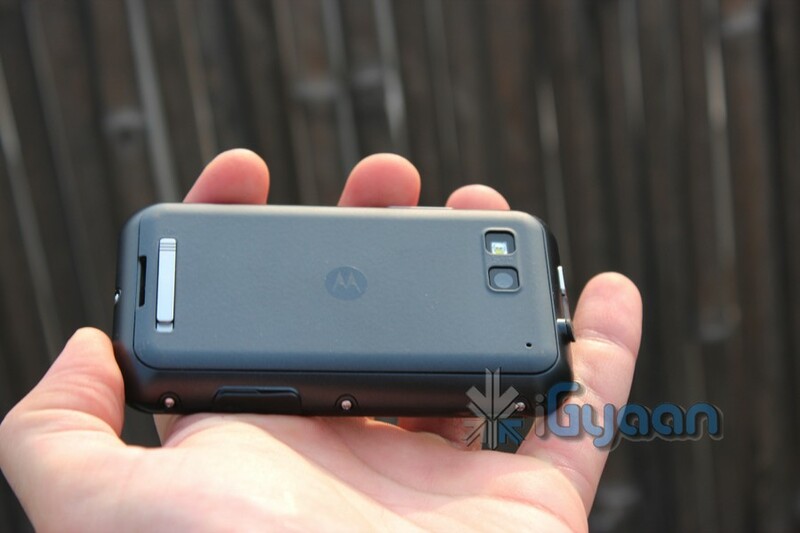 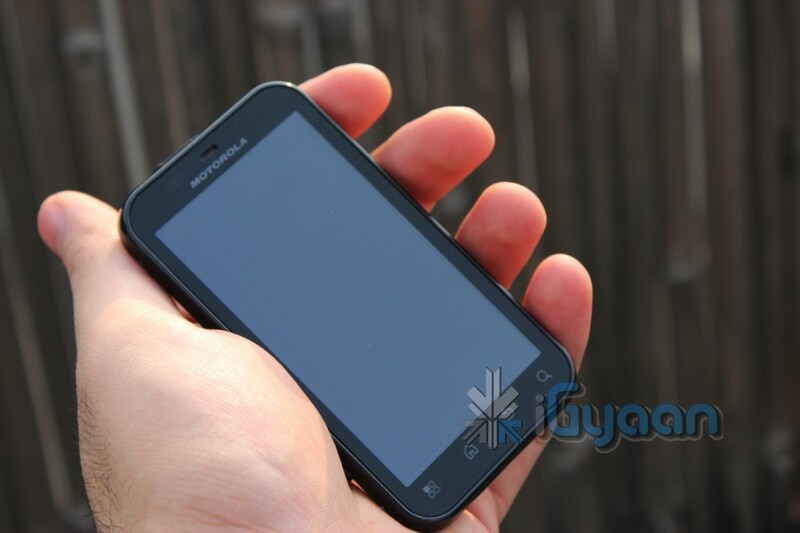 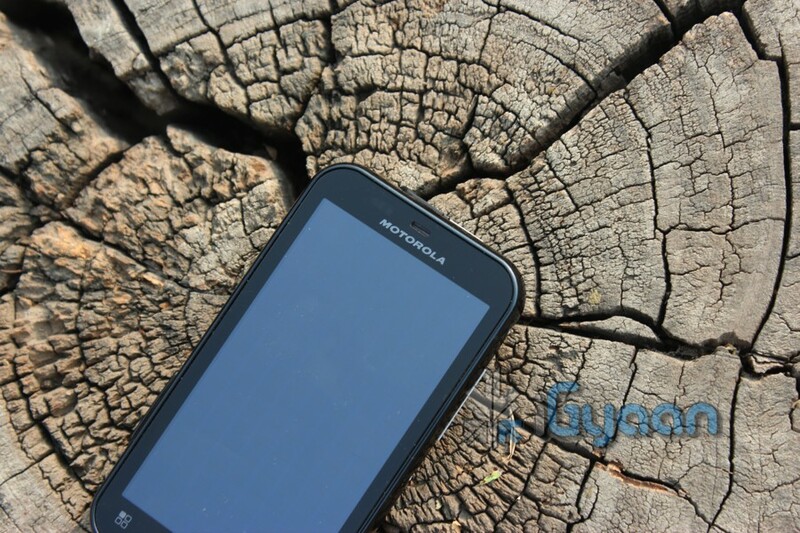 The Motorola Defy + is more of a mans phone, with the industrial looks and design, the strength to withstand drops and scratches. 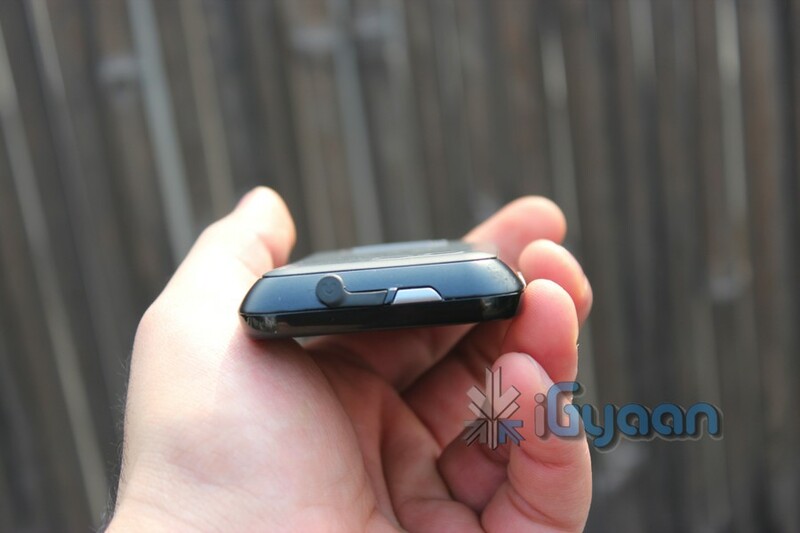 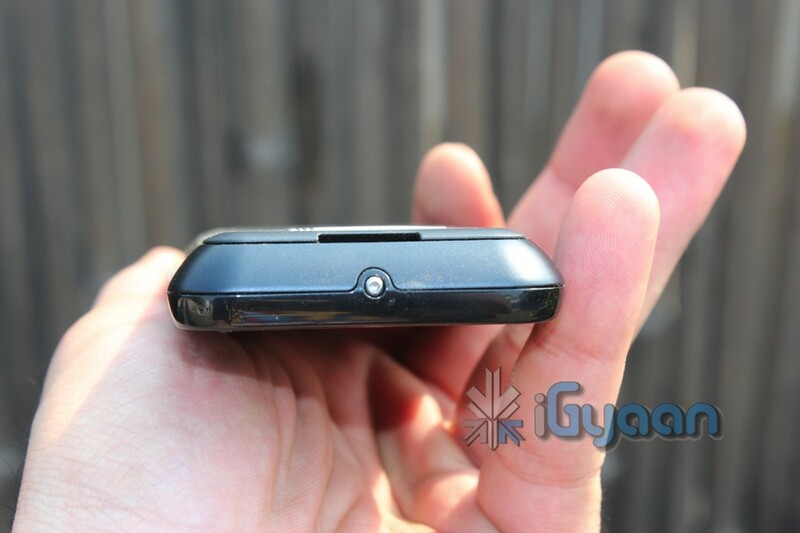 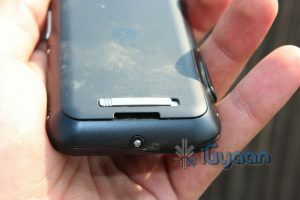 The device is a step above the Active which is not designed to withstand drops as the backpanel scratches and withers easily . 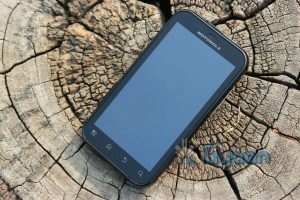 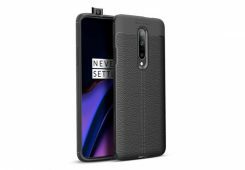 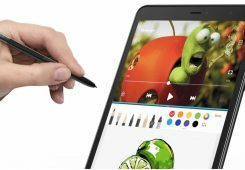 Both devices have a gorilla glass front, the Active however has a tuff display which comes preloaded with a impact sheet and a scratch protector. 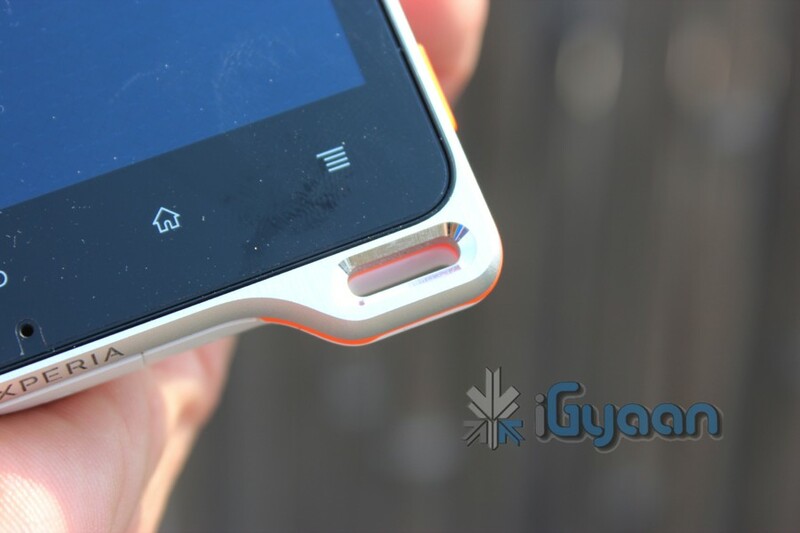 The Defy + has a true full feature gorilla display which does not even need a screen protector to prevent scratches or impacts. We prefer the looks of the Defy + as a rugged phone, and the fact that it has a much larger display makes it a little bit more attractive. 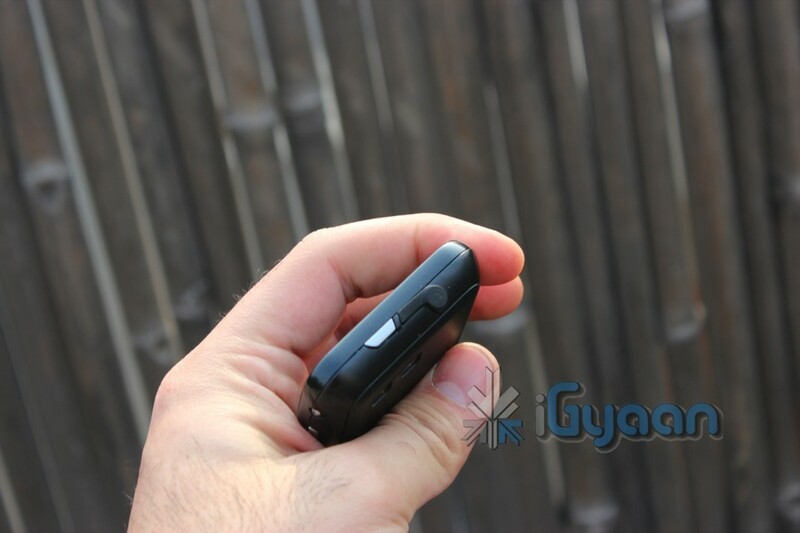 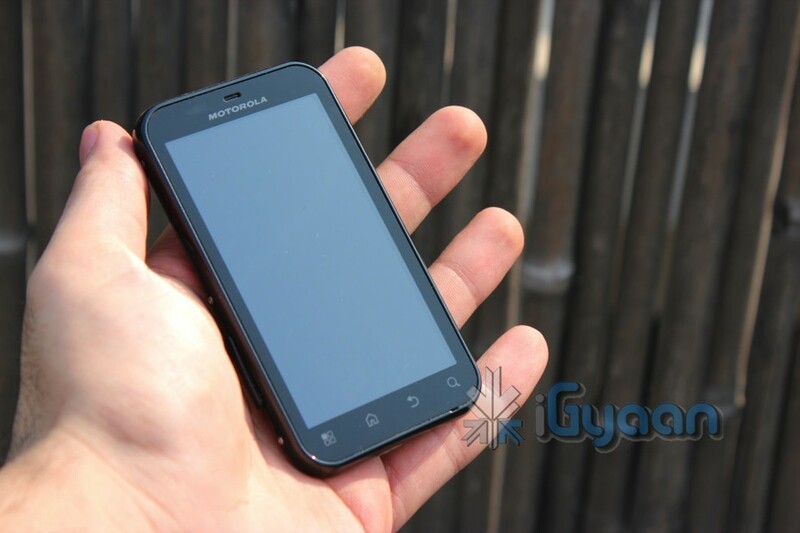 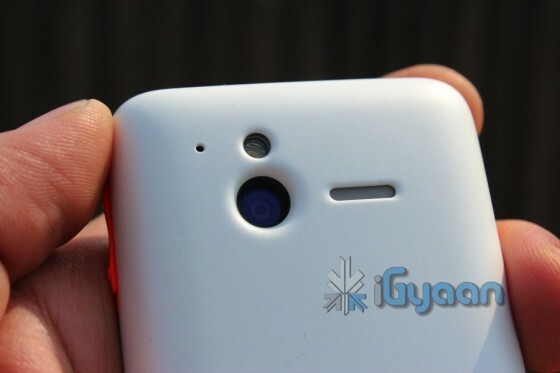 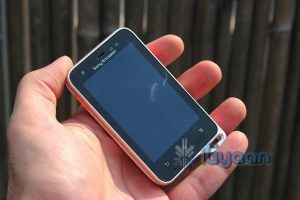 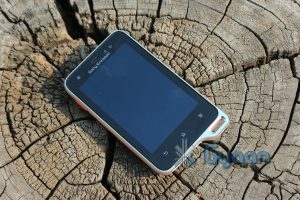 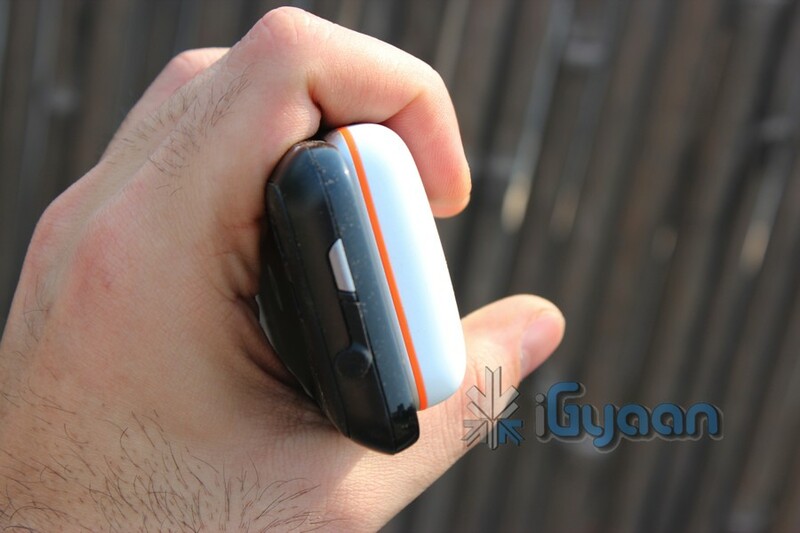 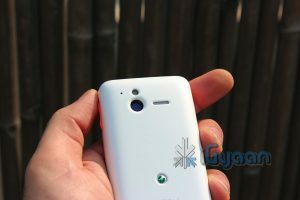 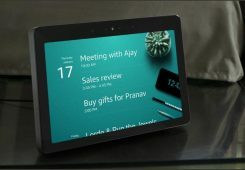 The Active has its own charm and can been seen as a pretty and small device, a possible option for the outgoing ladies. 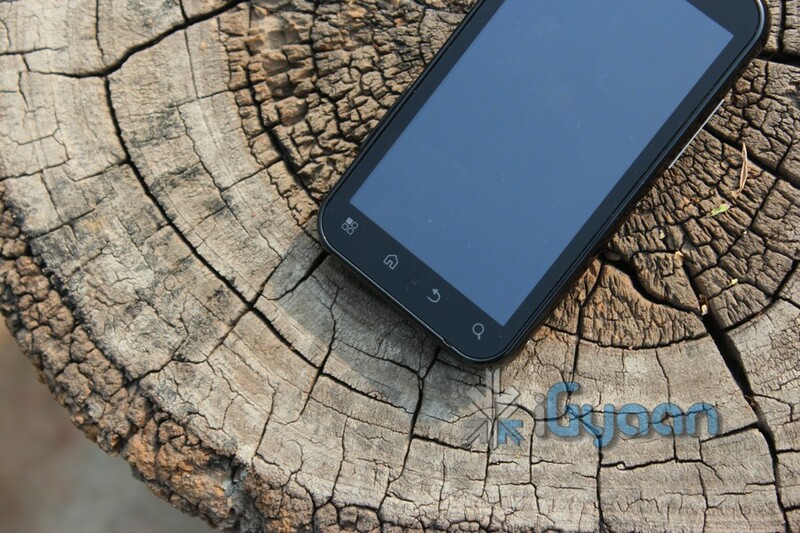 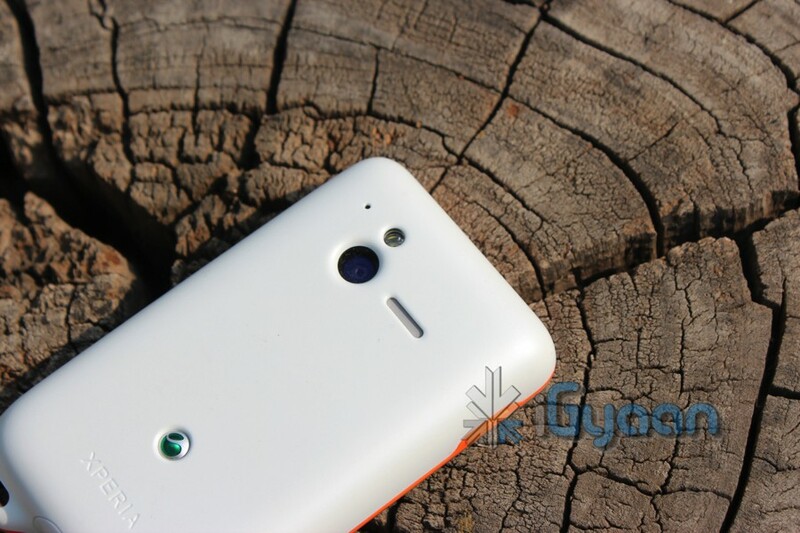 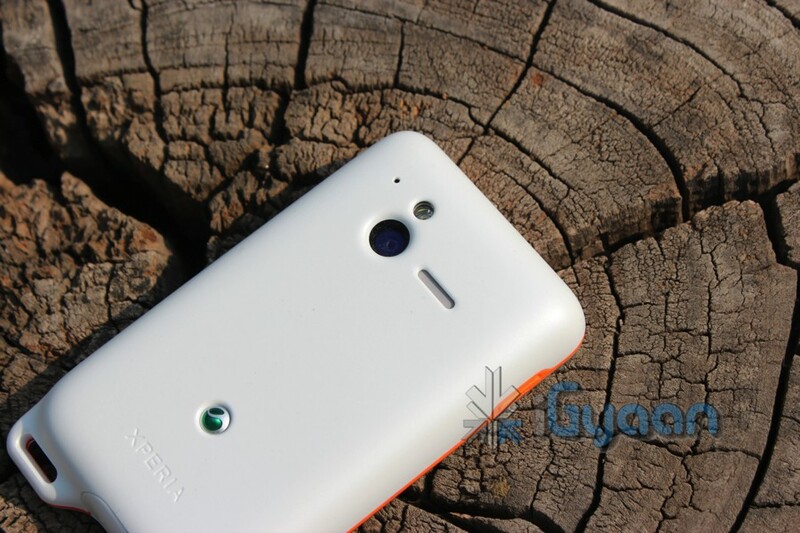 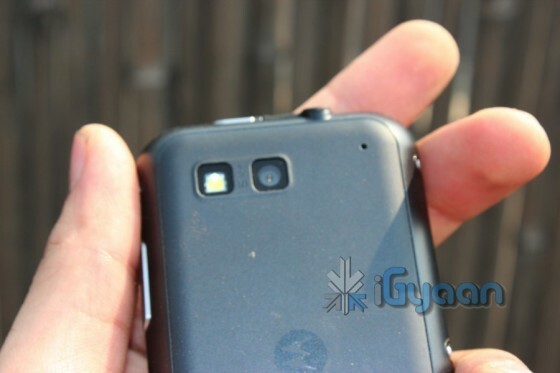 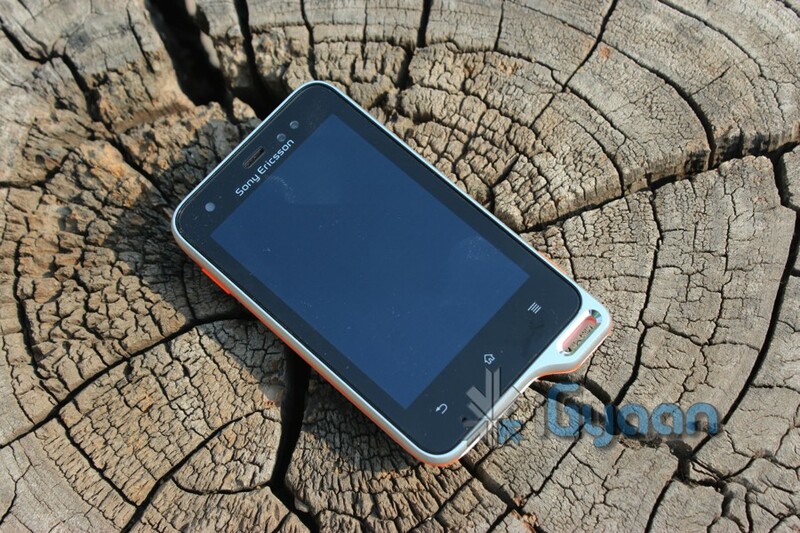 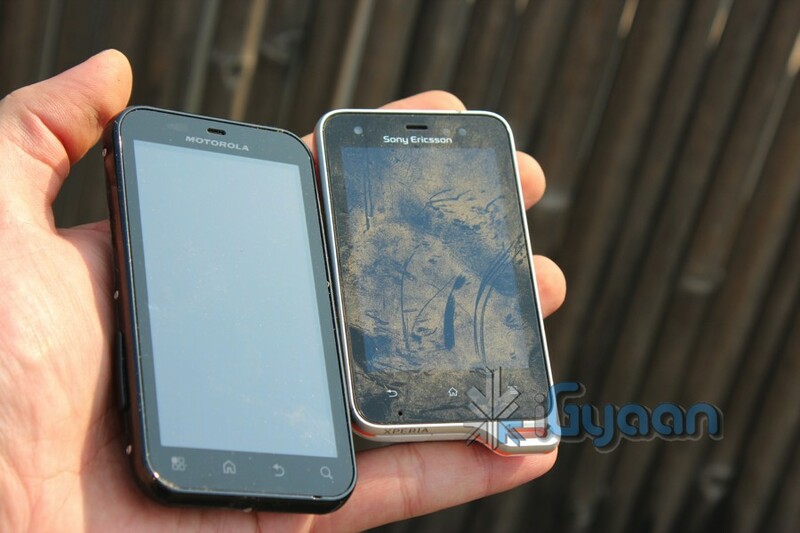 Both devices have a 5 MP camera with LED flash, both have 720p video quality with fairly decent and frame loss capture. The cameras are autofocus and the camera on the Xperia Active performs well, especially outdoors. 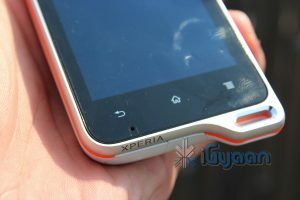 Both devices come with their own variants on the camera app and the one on the Xperia outshines the one on the Defy. The defy + also lacks a front facing camera for video calls over Voip. 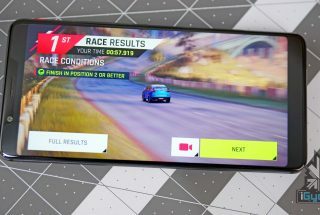 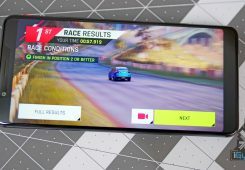 The multimedia experience is somewhat of a dilemma, on one hand you have a larger display and a very loud speaker of the Defy+ and on the other hand you have a small display with a very vivid mobile Bravia engine and a good sounding speaker on the Xperia Active. 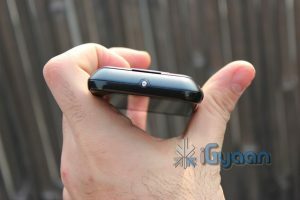 The Defy+ also has a large resolution making the image and text quality on the device much better. 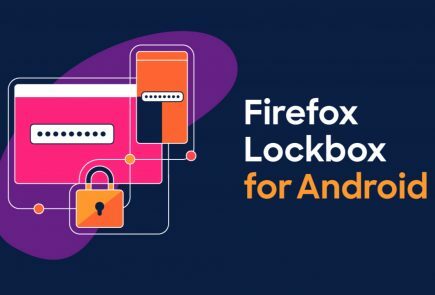 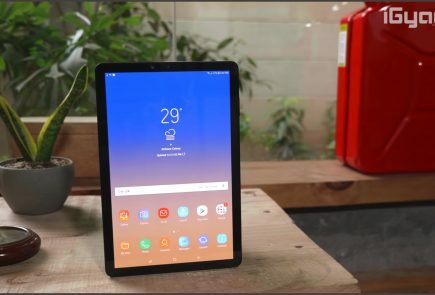 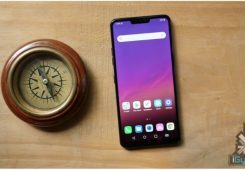 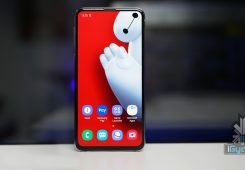 Both devices performed well in video streaming and playback and were able to sustain a good overall experience, Playing back almost all sorts of media files. The Motorola Defy + and the Xperia Active both have solid phone capabilities, except we noticed that the Defy+ proved to be the strong one in this challenge, the network and call quality for the Defy +was excellent and there were no dropped calls whatsoever. 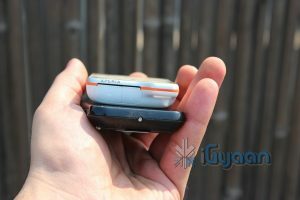 The Defy + also showed off excellent WiFi strength compared to the weak WiFi on the Xperia Active. The Xperia Active faced some dropped calls and intermittent connectivity issues, not enough to worry us. 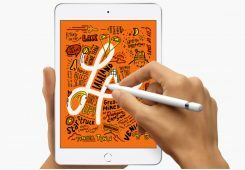 The WiFi was weak and the company claims that its due to the dual layer shielding on the Active. 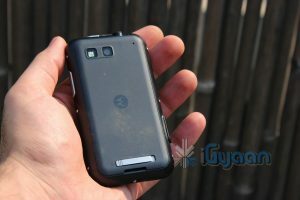 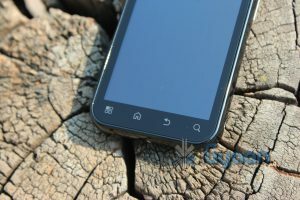 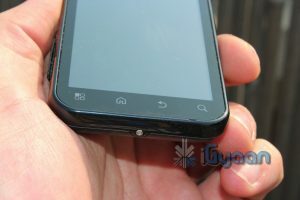 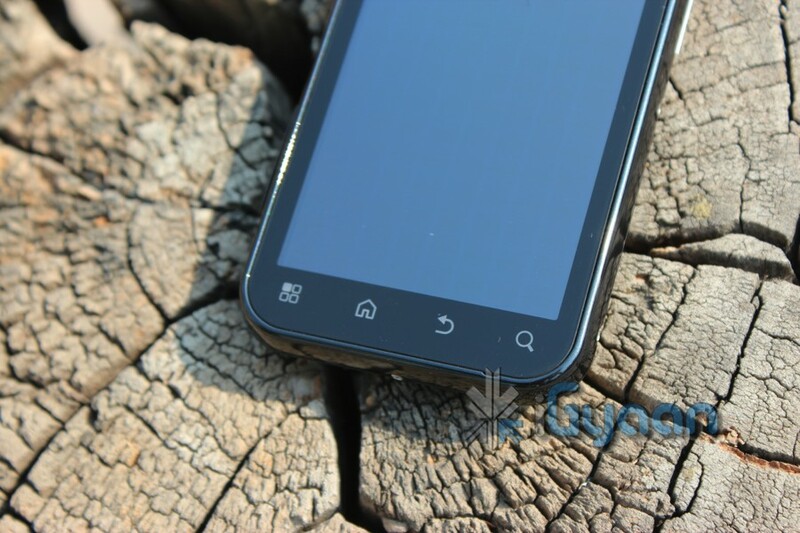 The Motorola Defy Plus comes with a custom UI on top of Android 2.3, called the MOTOBLUR it socializes your friends, pics, emails, messages, and Facebook, and Twitter happenings. 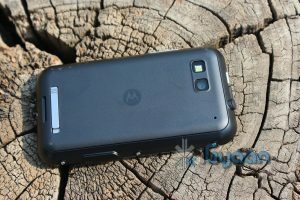 MOTOBLUR syncs them all, with continuous updates and back ups. 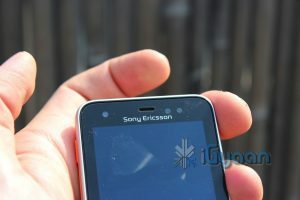 For Sony Ericsson its called TimeScape, a similar experience plus the good looks of the UI. 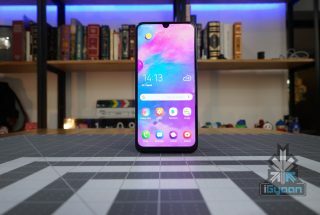 The overview feature shows off a nice jiggly animation to look at all home screens. 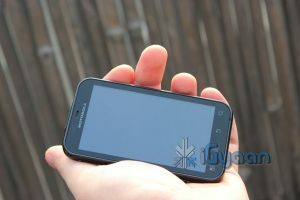 The device powers off with the old CRT-TV animation for Gingerbread. Where as, the icons and widgets on the MOTOBLUR are old looking and jagged, remind us of the days of the CRT TV. 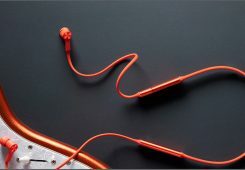 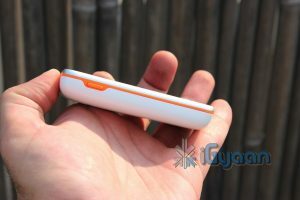 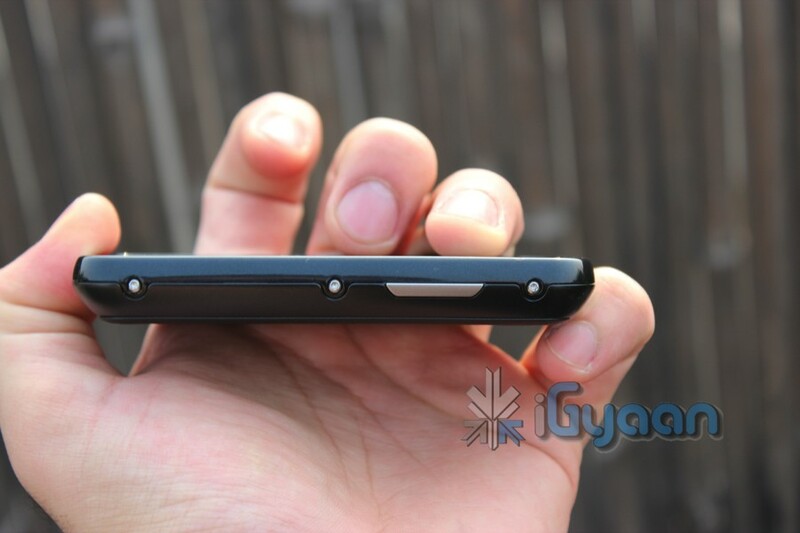 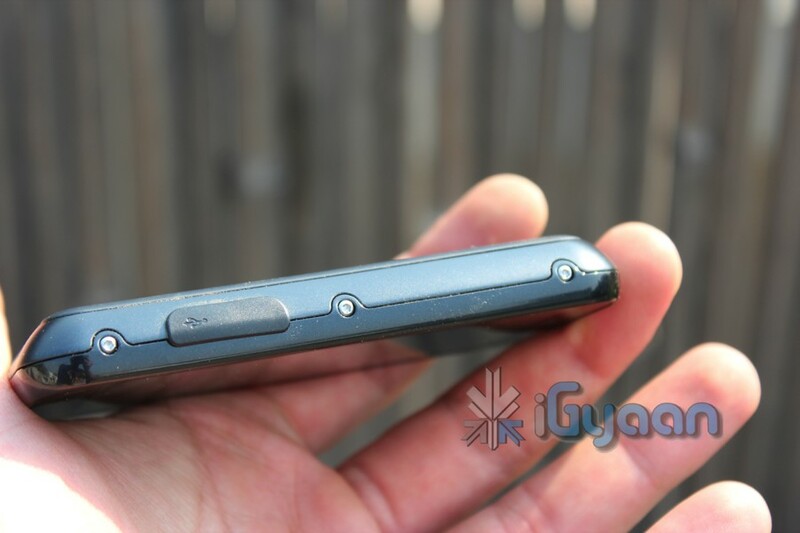 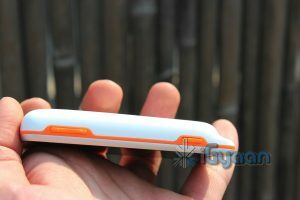 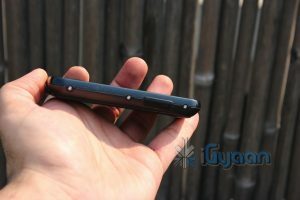 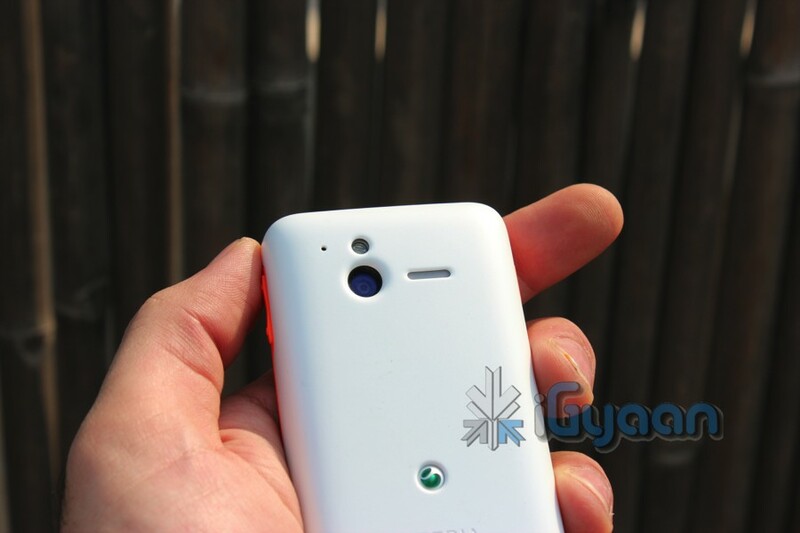 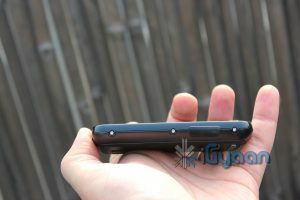 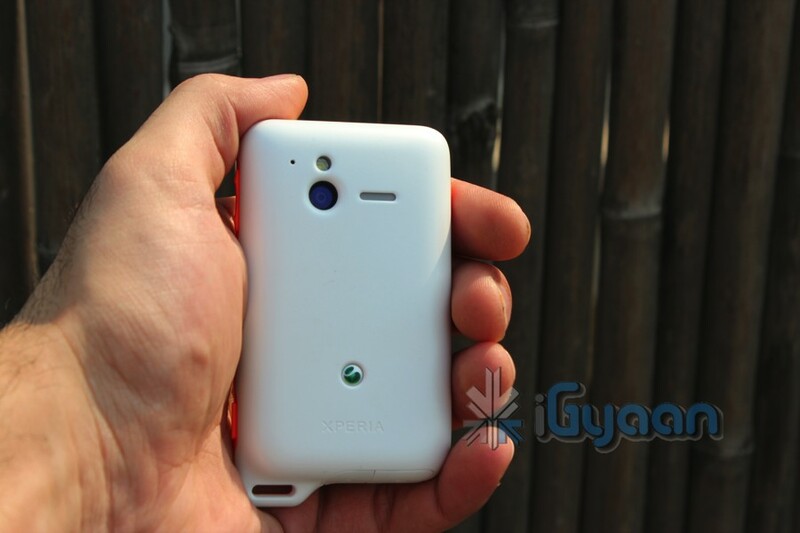 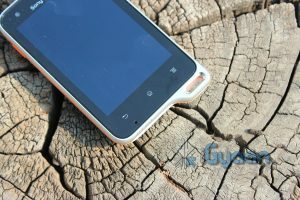 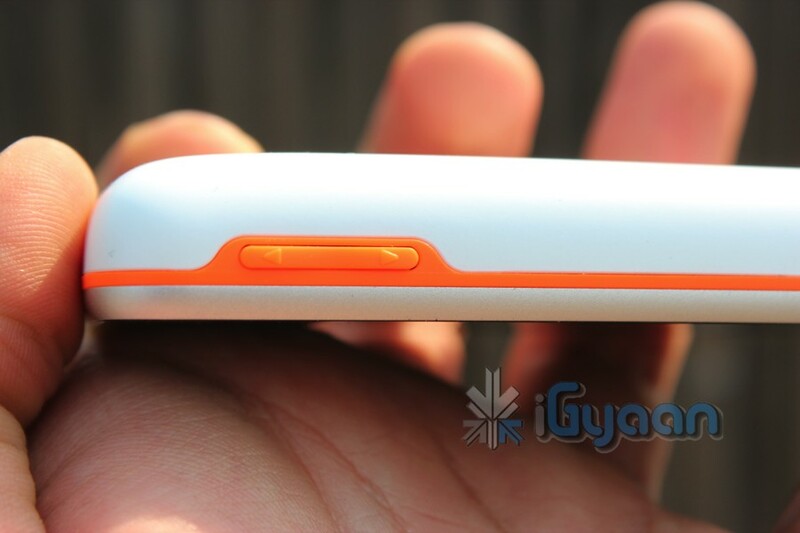 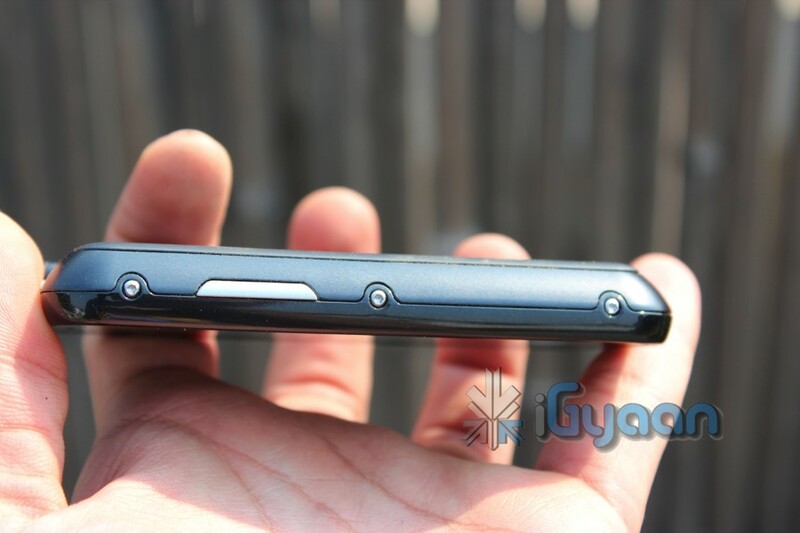 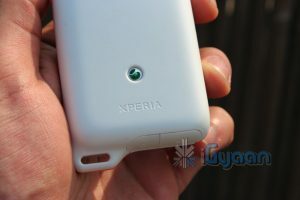 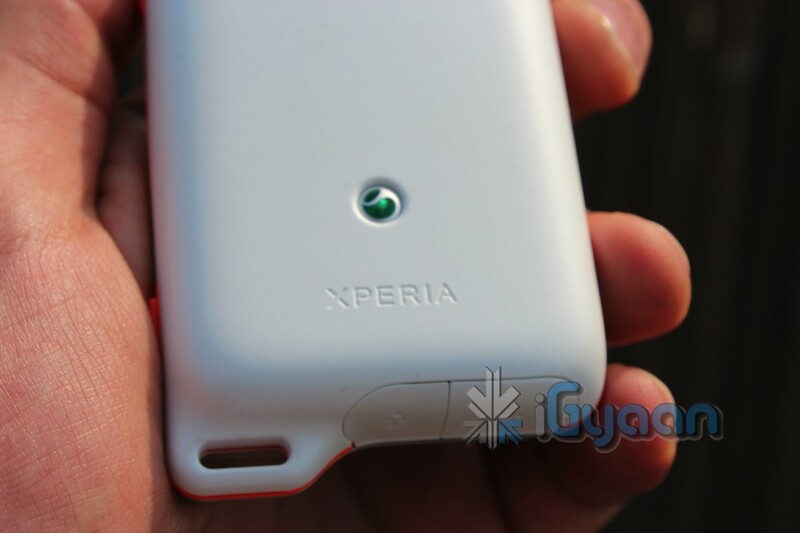 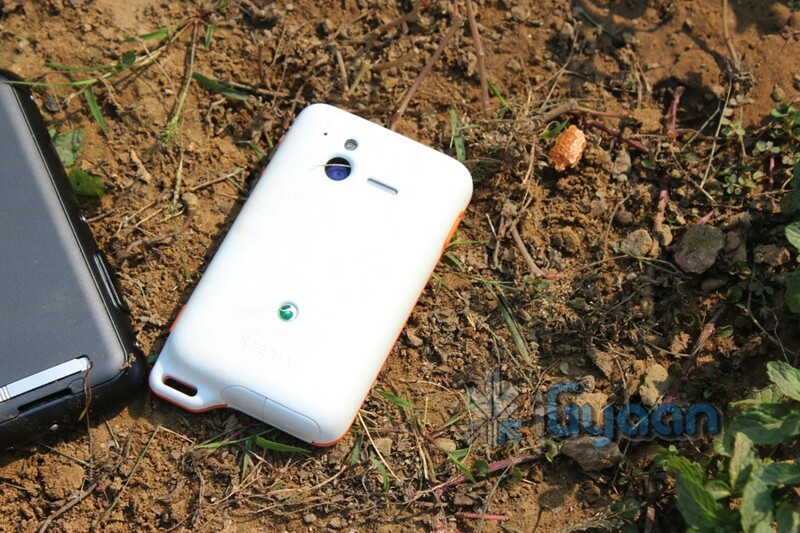 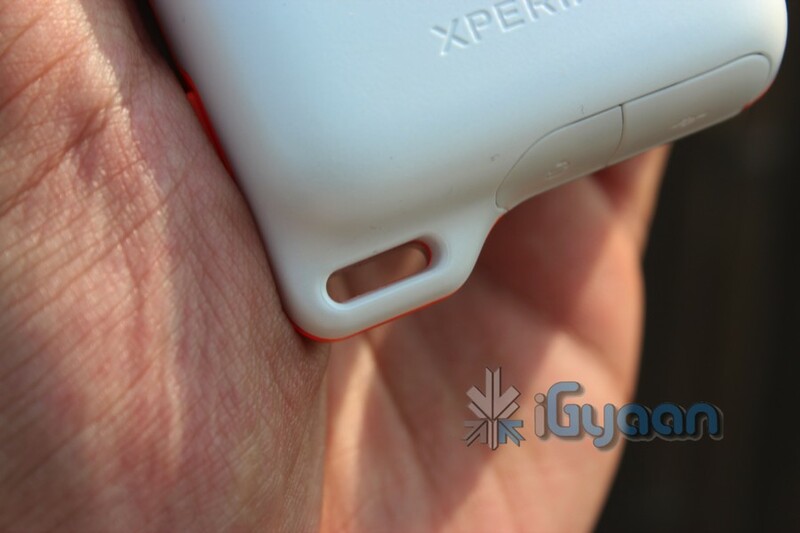 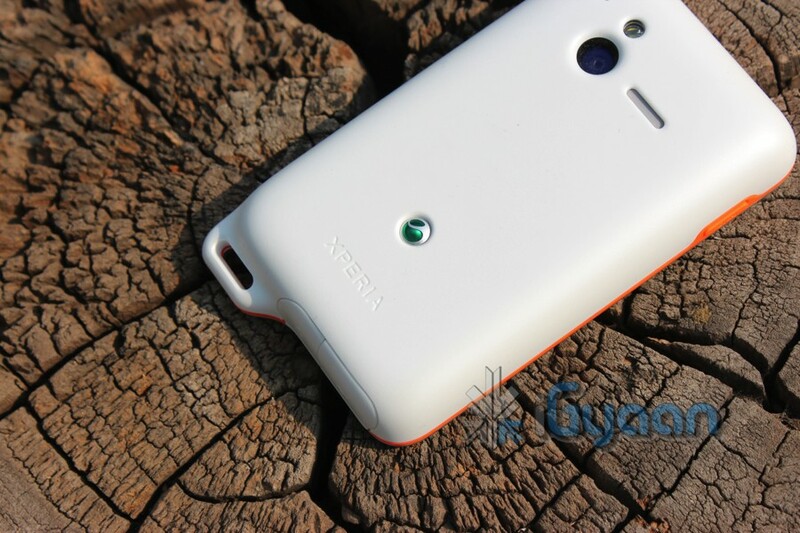 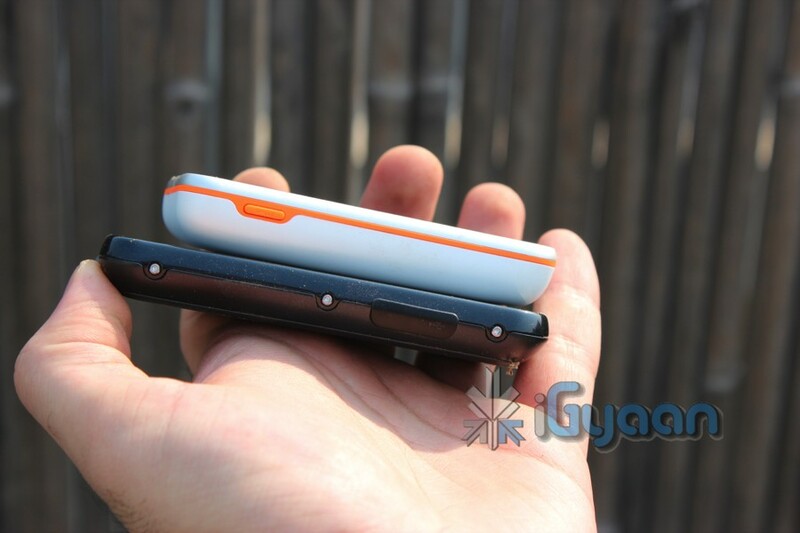 The included accessories in the Xperia Active at first seem like a positive, but later out turn out to be meh!. The included extra cover is possibly the only great bit of accessory in the Active, the LiveView watch /clip is an added notification panel with a touchscreen that lets you control music and look at notifications. 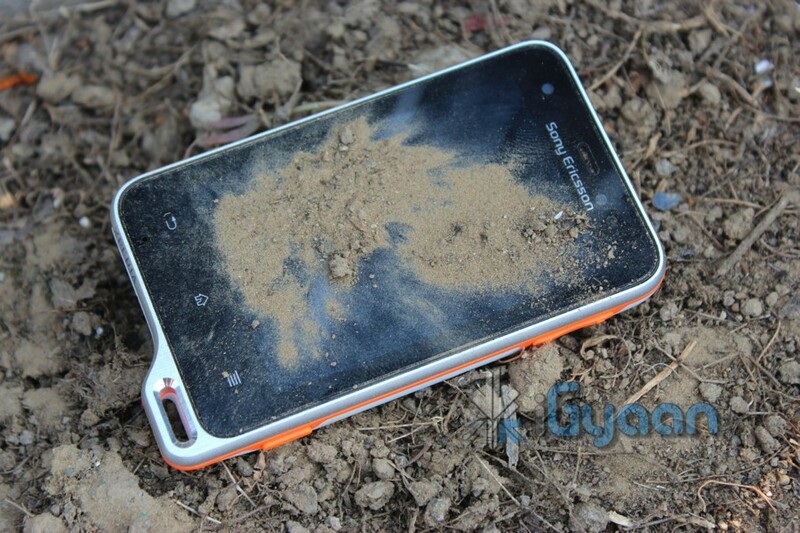 But guess what its not water resistant or dust proof, so much for outdoor activities. 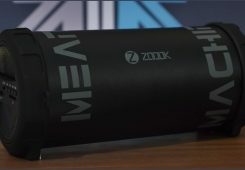 It does come with a host of straps and clips , but since the LiveView does not hold charge or connect properly to the device, you will ignore it more than use it. The Active also comes with a pre installed Screen Protector. 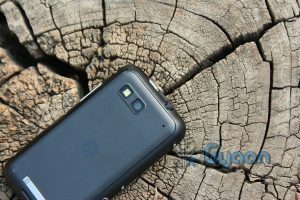 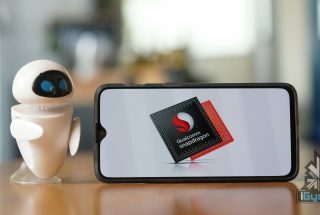 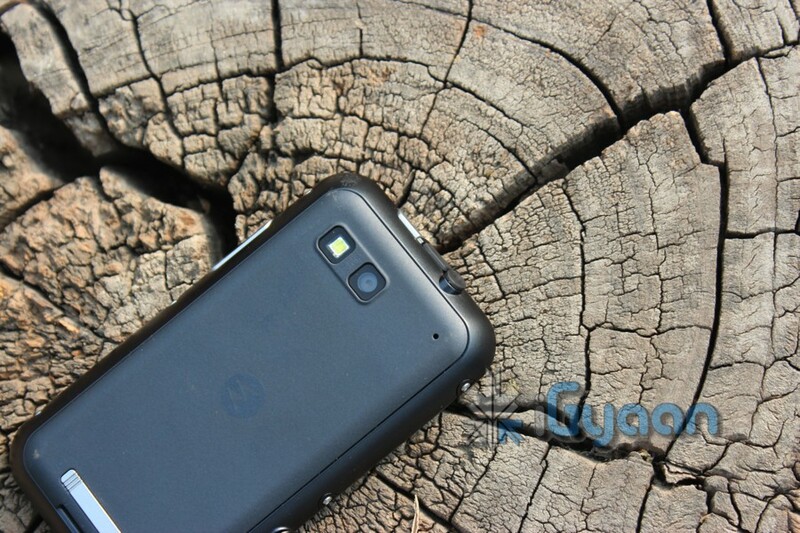 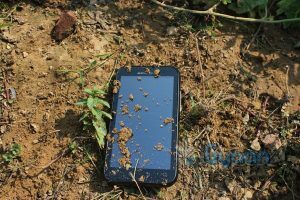 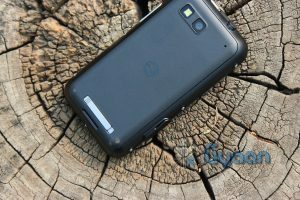 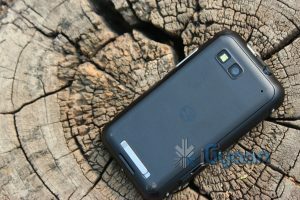 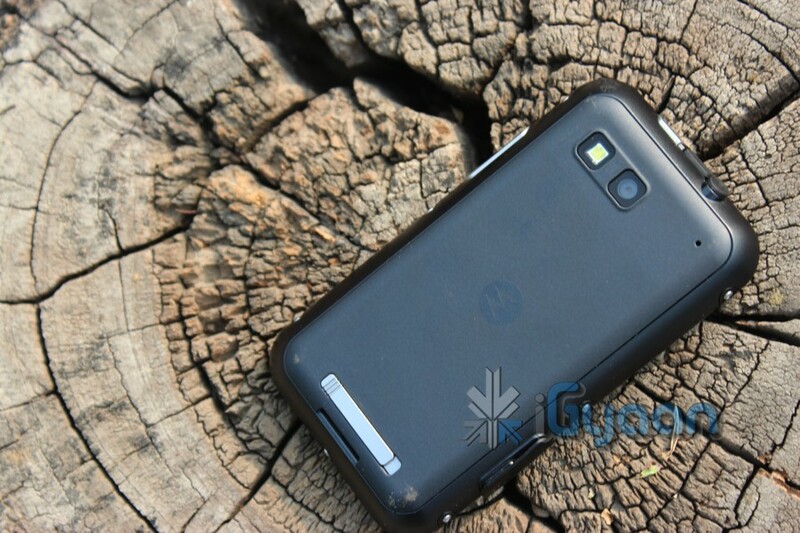 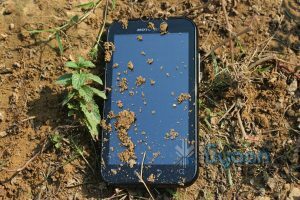 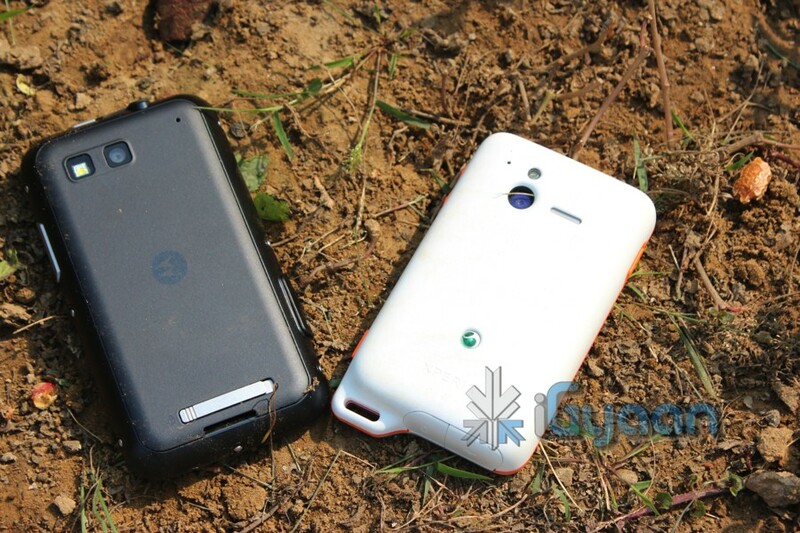 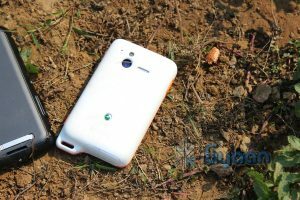 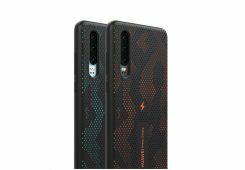 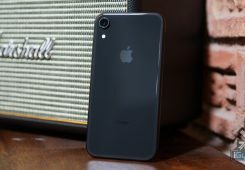 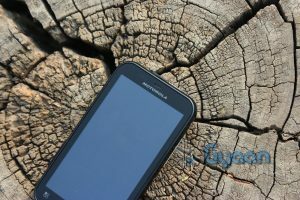 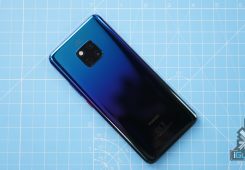 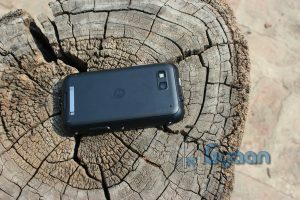 Well both phones have their plus points and downsides, We feel unless you really have a need for a rugged phone, getting some other device would be a better idea simply because of the specs that you would get. 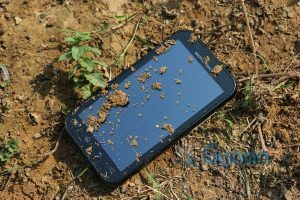 If you do need a rugged phone you need to decide between a larger screen or a smoother UI, a industrial vs a playful design. 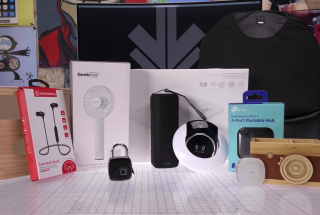 Included add-ons and goodies may or may not mean anything to you, they didn’t to us, especially because they weren’t useful. 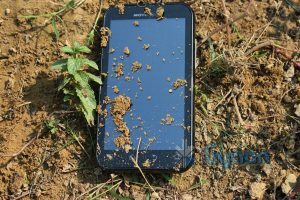 We found the Defy Plus a better device, with better looks, battery backup, larger display and overall appeal as a rugged device- it screams Tough Book – Tough Phone! 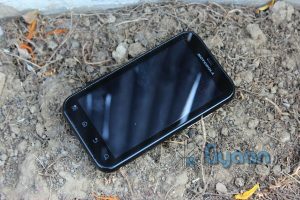 Which andriod phone u will recommend for 17k budget . . . ? 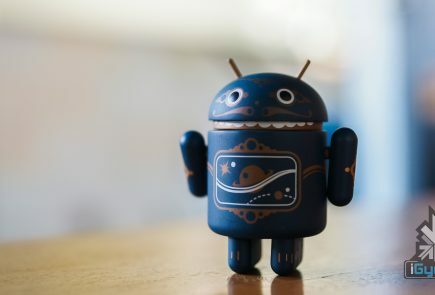 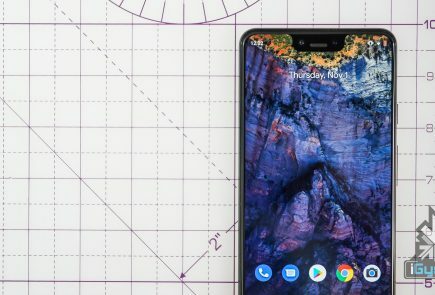 Will Defy+ be getting sandwich version of Android? how is the earpiece voice in both phones. 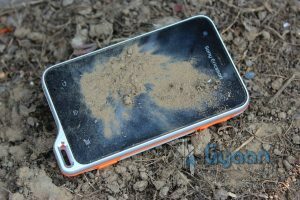 The water resistant phone i used had muffed voice which was not crisp maybe due to water protection is it the case with these phones also? 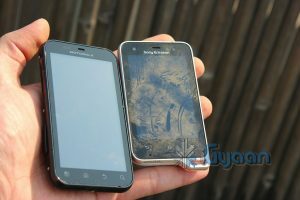 Which andriod phone u will recommend for 20k budget.